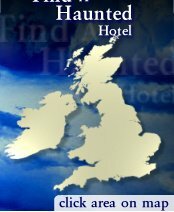 hauntedhotelguide.com was developed in late 2005 in response to the growing demand for a definitive directory of Haunted Hotels, Haunted Inns, Haunted Castles and other Haunted Accommodation throughout the UK. Whether you are a true believer or an open minded sceptic, hauntedhotelguide.com gives you the opportunity to visit some of the most Haunted Hotels in the country and possibly experience something unexplained. The public's interest in all things paranormal is constantly growing; this is emphasised by the increasing popularity of television programmes such as Most Haunted, Derek Acorah's Ghost Towns, Dead Famous and Jane Goldman Investigates. With this in mind, hauntedhotelguide.com aims to make it easy for those who want to experience for themselves something paranormal. Whether you are looking for a Haunted Weekend or a Haunted Break (take a look at our WeekendHaunts section), or you just want to satisfy your curiosity, hauntedhotelguide.com will help you decide on the perfect haunted location for your stay. Many other hotel guides across the UK concentrate on the variety of things on the tea tray: the availability of en-suite and TVs in each room, or how the curtains match the bed covers. Often the really interesting things, like how many Ghosts a hotel has, which room the Grey Lady can often be seen pacing around and where in the grounds the headless horseman gallops, are over-looked. Not by us. With detailed descriptions and images of the Haunted Hotels and Haunted Inns on our site, coupled with an entire page dedicated to the Haunted Hotel's history and it's ghosts, hauntedhotelguide.com is totally unique. Our loyal customers visit our site to find the best hotels with a haunted twist. They want the luxury of a comfortable hotel with the extra bonus of possibly spotting a ghost or two. We like hotels on our guide which are not ashamed of their ghost, even if they don't shout all that loudly about it. We also offer a membership scheme… If you choose to become a Member of hauntedhotelguide.com then you will enjoy many benefits including a monthly newsletter with haunting updates, news about new Haunted Hotels, Haunted Inns and Haunted Castles joining our site and access to special offers and deals only available to our Members. Please contact us at info@hauntedhotelguide.com if you have any questions about the site.